Credit: Lasse Jakobsen & Coen Elemans/SDU. When birds sing their elaborate songs, bats echolocate, rattlesnakes rattle and toadfish hum they use so-called superfast muscles, the fastest vertebrate muscles known. New research shows that these muscles have reached a maximum speed attainable in any vertebrate muscle. Across all animals, different muscle types have evolved to perform vastly different tasks at different speeds. Tortoise leg muscles move slow over several seconds, while hummingbird's flight muscles move fast dozens of times per second. The speed record holders among vertebrates are the so-called superfast muscles, which can move up to 250 times per second. 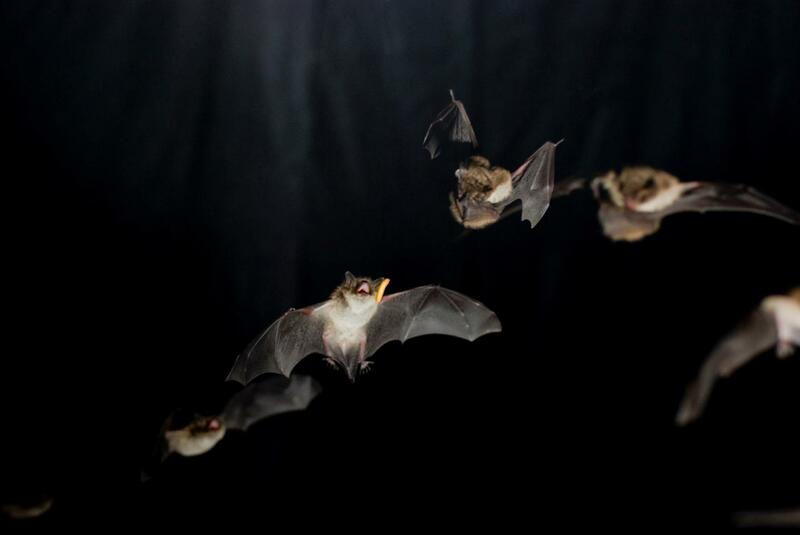 – The iconic superfast muscles power the alarming rattle of rattlesnakes and courtship calls in fish, but over the last years we have discovered them to also power rapid echolocation calls essential to prey capture in bats and the elaborate vocal gymnastics of songbirds, says lead author of the study, Dr. Andrew Mead from the University of Vermont, USA. – So although previously thought to be rare, these extreme muscles are all around us and seem to be typically used for the control of sound production, adds Dr. Coen Elemans, senior author on the study and head of the Sound Communication and Behavior group at University of Southern Denmark. In this work the team studied if all these superfast muscles use the same ways to achieve their extreme behavior and if they share a common ancestral superfast muscle. – We show that all superfast muscles share certain specific adaptations that allow superfast contractions, says Dr. Mead. Furthermore, the three fastest muscles – toadfish, songbird, and bat – have nearly identical maximum speed, which argued in favor of a shared ancestry. – Interestingly the story turned out otherwise, comments Dr. Elemans: – By looking at presence of motor proteins we found that each of these three superfast muscles expresses a different one, arguing strongly in favor of independent ancestry. Because superfast muscles converged in performance and mechanism this argues that they represent a maximum speed attainable in any vertebrate muscle. – We also show that in songbirds the superfast muscles speed up as young animals learn to sing, but we don't yet know if this is due to a developmental program or maybe training. – Animals that evolved some extreme physiological performance can teach us a lot about general mechanisms, says Elemans: – Any technical failure in a fine-tuned racecar most likely will noticeably slow it down, while the same failure in a robustly engineered family car may not be so noticeable. Superfast muscles are so interesting because extremely fast muscles allow us to gain a better understanding of how normal muscles contract.